This is why I am who I am. Thank you for pieces of home -- parts of you and parts of me. 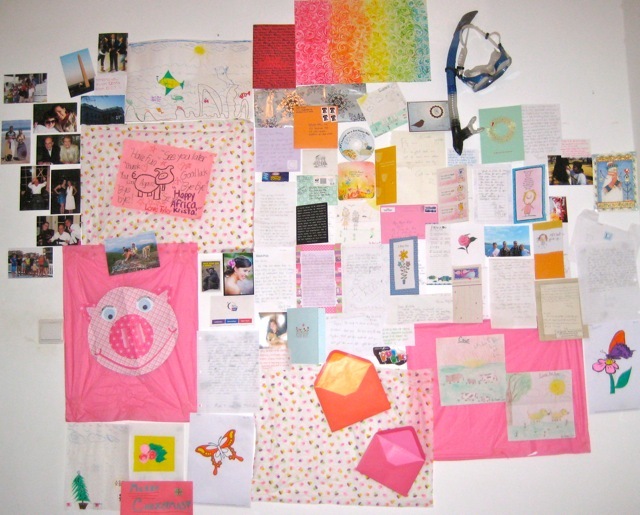 Every letter, every picture, every package has a place on my wall. Thank you for sending love 3,681 miles across the world. I still need to draw you a dolphin. EEEEEEEEEEEEEEEEEEEEEEE!!!!!! !